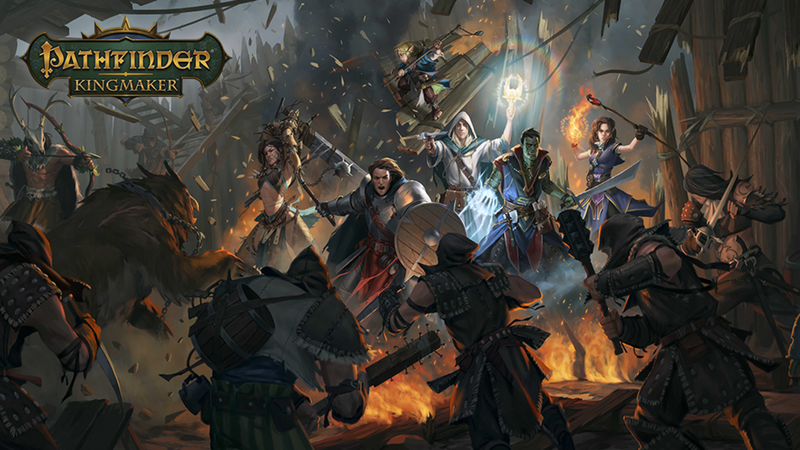 Pathfinder: Kingmaker, the cRPG developed by Owlcat Games and funded via Kickstarter in June 2017, is due for release tomorrow on PC (Steam). Ahead of the game’s debut we’ve had the chance to interview Narrative Designer Chris Avellone (the legendary writer and designer behind RPGs like Fallout 2, Planescape: Torment, Star Wars Knights of the Old Republic II: Sith Lords, Neverwinter Nights 2, Fallout: New Vegas to name a few) and Creative Director Aleksandr Mishulin. They discussed the game’s design choices, the changes from the PnP game and much more. Enjoy! What was the thought process behind having the combat in Pathfinder: Kingmaker be Time-Stop when the source uses a Turn-Based system? Do you have any intentions of adding a Turn-Based mode onto the game later down the line? Kingmaker, there are a lot of those aspects: combat, story, exploration, kingdom building. Turn-based battles are attention hogs. It takes a lot of time to finish one and there are many battles to be fought. Since they take up so much time and attention, these battles have to be different and unique, and that makes the game too combat-oriented for our taste. obtaining interesting loot, and so on as you continue adventuring. For this experience to work, the easy battles have to be quick, and that makes real-time a better pick. On the plus side, these battles are also more visceral and provide a better feeling of the confrontation. But that does not mean our battles lack tactical depth or deprive you of choices. You can stop the battle at any time to assess the situation on the battlefield and choose which spells or abilities to use. Area of effect spells can be placed precisely and their location can be changed while the spell is being cast. You can set up auto-pause to stop the game at the moments that are important for you. There is even an option to stop the game at the end of each round for each of the party members, which would make your experience quite close to turn-based battles. Why was Kingmaker the chosen adventure path or universe to work with? Kingmaker is a great Adventure Path, beloved by the players of Pathfinder. It is quite open and sandbox-y, allowing players a lot of freedom, which makes it a great foundation for a CRPG. The game’s unique component allows you to found a new nation and rule it as you see fit. Is it a concern that you are developing a game based on Pathfinder first edition rules when the second edition has been announced? simultaneously). The current edition is familiar to us and we are making a game that will be as close to the Pathfinder experience at the table as possible. We are excited about the next generation of rules; we haven’t had enough time to try them out thoroughly, but it is on our to-do list as soon as we become a little less busy. Assuming Pathfinder: Kingmaker does well, would Chris be interested in further work with the Pathfinder IP? Chris: Sure, and I’d definitely love to work with Owlcat again, it’s been a pleasure. Would Owlcat consider converting other adventure paths into computer games? Or, since most lack the nation building aspect of Kingmaker, would they want to create an all original adventure path with similar systems? Aleksandr: Right now, we are focusing on making this game the greatest experience we can, so it is a bit too early to talk about a sequel of any kind. We enjoy working with Paizo and we are fans of the Pathfinder system, so I would not rule out bringing other APs to the computer games in the future. However, if we decide to use another Adventure Path, the nation building aspect might become excessive. It is a great feature for the current game as it supports the main idea and the story of the Adventure Path. Therefore, if we will be making another Adventure Path, it will have other systems supporting its own idea and story. With the game based on a system that’s supposed to bring people together to play, why limit yourself to single player – especially with the success of things like Divinity: Original Sin (both 1 and 2) with co-op? 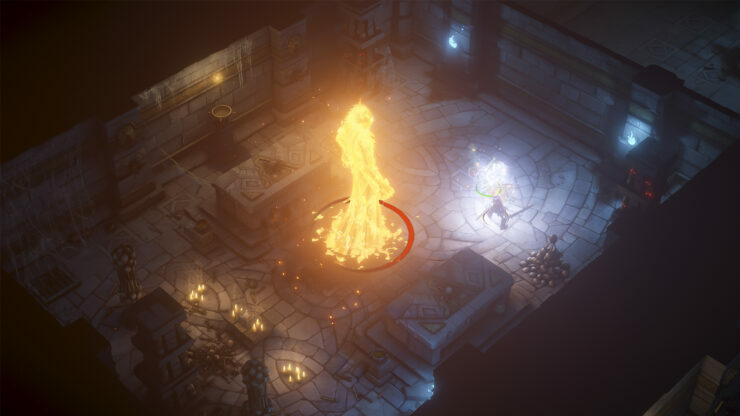 Aleksandr: Before making Pathfinder: Kingmaker we made two MMORPG titles. We know from firsthand experience how much time and effort it requires developing a great cooperative game. We do not want to add some hastily made resemblance of a cooperative game, and we do not have enough time now to make it right. So we decided to provide the best possible single player experience possible in CPRGs. Did you feel constrained by alignment system in Pathfinder: Kingmaker, Planescape Torment and others RPGs with alignment, when you were working on them? Would you prefer to work on the same games without having to work with an alignment system? between the player’s choices. Of course, the nine-alignment system calls for better support throughout the game – we had to provide enough opportunities for the players to stick to the alignment of their choice, while also providing enough feedback for each of the choices. We considered that not a limitation, but a goal – one we believe we successfully achieved. expression of role-playing. I also feel the current alignment system (as long as it’s rewarded) provides a lot of flexibility just like it did on Planescape: Torment and I don’t feel the alignment system is constrictive unless the designers make it that way – and Owlcat certainly hasn’t. If the alignment system was polar with no middle ground reward and the polar opposites were also tied to systemic awards you can only get by going to extremes, I’d have a big problem with it (I think a system like that limits role-playing and just causes players to spam the “I’m good” or “I’m bad” options), but that’s not how the systems in Pathfinder work. Narrative focus: how much have you modified the plot of the game vs the adventure path? Kingmaker famously has a final boss out of left field, how much power did you get to change it up? Chris: A lot and the issue you mention is something we specifically set out to solve, as the Alexanders (Creative Director Alexander Mishulin and Lead Writer Alexander Komzolov) recognized introducing the main adversary early would help the narrative flow (and also permit more insight into their motivations, presentation, voice, and more). We did get permission for these changes, and we also got additional narrative fuel by introducing the companions, who add a whole other story layer to the game (they’re very involved with the plot). What companion/s, besides Nok Nok, do you think are the most interesting in Pathfinder: Kingmaker? interesting). Jubilot is kind of a big jerk, which is fun as long as you get in the last word. Why did your team decide to include the iconic characters they did and not the others presented in the pen and paper version of Pathfinder: Kingmaker? Aleksandr: It was an interesting discussion back in the days … We have only one iconic character for companions because we didn’t want to lock down a lot of slots in the player’s group. Iconics are great characters with a lot of background and stories. So most of the players will be compelled to take them on adventures, making other companions less valuable and indirectly limiting options in the group. We picked Amiri because her personal story provides great opportunities for juicy events involving the Kellid barbarians, which hold a considerable part of Kingmaker’s original story (even though these Kellids come from a different country, but nevertheless). We also didn’t want our iconic to have strong ties to the Pathfinder Society because it would go against Kingmaker’s story and society’s own lore – the Pathfinders remain a neutral organization, abstaining from world’s politics. Apart from that, we love Amiri’s strong character and the recklessness she adds to the party. Magus was famously a $600k stretch goal and your Kickstarter certainly went above and beyond that mark but didn’t quite reach the $1 million goal for an additional race. counted toward the stretch goals and eventually we reached the $1 million goal. We had a vote among our backers and they have chosen the Aasimar race. They are in the game as a playable race now. As for additional races and classes – we are considering doing that, but right now, we are completely focused on finishing the core game. Has Owlcat Games started looking into procuring development kits for PlayStation 4 or Xbox One for a possible console port of Pathfinder: Kingmaker in the future? Aleksandr: We actually already have them; we ported Skyforge (our previous MMORPG project) to the PlayStation 4 and Xbox One so we have the hardware and experience to make such ports. Chris, would you see yourself taking on a more permanent role at a software house instead of the consultant role you’ve been doing for many different projects (Prey, Divinity: Original Sin 2, Pathfinder: Kingmaker, Dying Light 2)? Chris: I wish I could and have gotten some great offers along those lines, but personal matters (family) preclude it at this time. As a result, I’ve been freelancing because of my life situation (although I do enjoy freelancing as well). My experience with Owlcat has proven this a bit, but I do appreciate the chance to work with different teams, toolsets, production pipelines, and new franchises and game genres … it makes work even more exciting than it was before, and I’m learning a great deal. Without freelancing, I wouldn’t have had the chance to work on a Pathfinder single-player CRPG under other circumstances, for example, and I’m grateful for the chance.